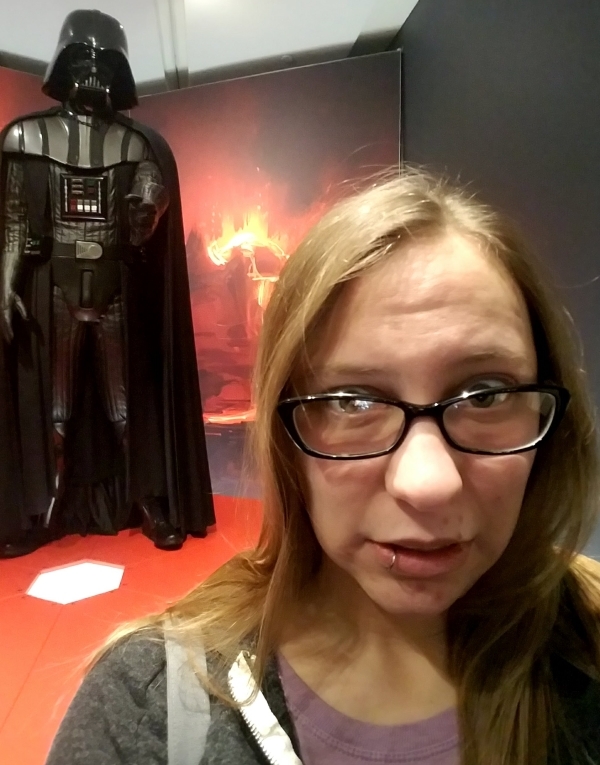 I went to a writing conference, and all I found was this stupid Star Wars costume exhibit! In all seriousness, did you think I could go somewhere with a Star Wars thing and not go see it? Two weeks ago when I got off the plane in Tampa for AWP, my first stop was my hotel to stash my stuff, and my second stop was the Power of Costume exhibit at the Museum of Fine Art in nearby St. Petersburg. I took a Lyft there and back, and both my drivers were a bit skeptical I was paying for a 30-minute ride there and back for something as dorky as a sci-fi movie exhibit, but oh well, what are you going to do? Pay the nice drivers and go anyway, obviously. Star Wars and museums go way back, and I’ve had the pleasure of seeing some of these costumes previously at The Magic of Myth exhibit at the Brooklyn Fine Arts Museum (my dad drove me 3 hours there and back for that one!) and at the Lucasfilm Archives exhibit at various Celebrations. But this exhibit had costumes from The Force Awakens (which okay, yes, I’ve seen some of those at Celebration also, but still). The exhibit is beautifully designed and presented, and comes with an audio tour. I might go see it again when it comes to Detroit next year! BB-8, C-3PO, & R2-D2, everyone’s favorite droids. A whole room full of Padmes! The detail on these costumes is stunning. It’s hard to choose, but if I had to pick a favorite costume… no, I can’t. Each costume featured in the exhibit does its part to create the Star Wars universe and make it feel real and lived in. I like all of them in their own way. Do you have a favorite costume, Star Wars or otherwise?